“Moreover, Subhūti, unthinkable and incomparable is this discourse on Dharma. The Tathāgata has taught it for the weal of beings who have set out in the best, in the most excellent vehicle. “Those who will take up this discourse on Dharma, bear it in mind, recite, study and illuminate it in full detail for others, the Tathāgata has known them with his Buddha-cognition, the Tathāgata has seen them with his Buddha-eye, the Tathāgata has fully known them. All these beings, Subhūti, will be blest with an immeasurable heap of merit, they will be blest with a heap of merit unthinkable, incomparable, measureless and illimitable. 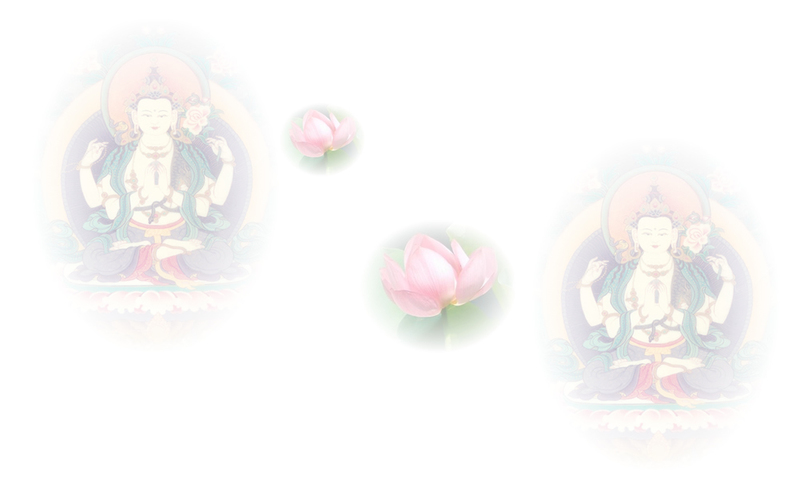 “All these beings, Subhūti, will carry along an equal share of enlightenment. And why? Because it is not possible, Subhūti, that this discourse on Dharma could be heard by beings of inferior resolve, nor by such as have a self in view, a being, a soul, or a person. Nor can beings who have not taken the pledge of Bodhi-beings either hear this discourse on Dharma, or take it up, bear it in mind, recite or study it. That cannot be. “Moreover, Subhūti, the spot of earth where this Sūtra will be revealed, that spot of earth will be worthy of worship by the whole world with its Gods, men and Asuras, worthy of being saluted respectfully worthy of being honoured by circumambulation, like a shrine will be that spot of earth. “And yet Subhūti, those sons and daughters of good family, who will take up these very Sūtras, and will bear them in mind, recite and study them, they will be humbled, well humbled they will be! And why? The impure deeds which these beings have done in their former lives, and which are liable to lead them into the states of woe, in this very life they will, by means of that humiliation, annul those impure deeds of their former lives, and they will reach the enlightenment of a Buddha. “With my superknowledge, Subhūti, I recall that in the past period, long before Dīpaṃkara, the Tathāgata, Arhat, fully Enlightened One, during incalculable, quite incalculable aeons, I gave satisfaction by loyal service to 84,000 million milliards of Buddhas, without ever becoming again estranged from them. “But the heap of merit, Subhūti, from the satisfaction I gave to those Buddhas and Lords without again becoming estranged from them compared with the heap of merit of those who in the last time, the last epoch, the last five hundred years, at the time of the collapse of the good doctrine, will take up these very Sūtras, bear them in mind, recite and study them, and will illuminate them in full detail for others, it does not approach one hundredth part, not one thousandth part, nor a one hundred thousandth part, not a ten millionth part, nor a one hundred millionth part, nor a 100,000 millionth part. It does not bear number, nor fraction, nor counting, nor similarity, nor comparison, nor resemblance.